Japanese Pop Star Jin Akanishi went global last year in a world tour called Yellow Gold, which has proven to be a success. A few months ago he went on to pursuing his American dream: he got a role in a Hollywood film with Keanu Reeves and he signed a contract with songwriter Jason Derulo for his next album. When artists want to become stars they go to Hollywood. When they want to go global, they go to the U.S. This is the recipe. If you make it in America in show business, you made it across the planet. But the road is not easy. There are many examples of American singers that, for instance, had Europe at their feet and still weren’t popular at home. One example would be the famous boyband Backstreet Boys. They were hitting the charts in UK, Germany, Italy, Spain and all the other European countries. They had fan clubs all over the place and girls would scream and faint at their concerts. Still, in America they haven’t broken the ice until years later. Japan has exported many talents in show industry in the latest years. When Ken Watanabe starred in The Last Samurai as Matsumoto, the leader of a samurai legion protecting the Emperor against western invasion, he didn’t even speak English very well. Since then has been cast in many films, including and Memoirs of a Geisha and Inception. But now, a new generation of Japanese talented artists is rising. 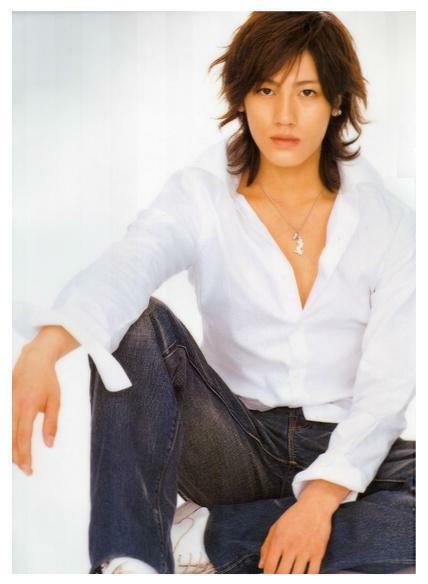 The film “47 Ronin”, which is currently under production, cast 26-year-old Jin Akanishi in the role of Chikara Oishi, the son of the ronin army leader Oishi (played by Hiroyuki Sanada). The movie tells a real story from Japan’s feudal history. A group of samurai seek to revenge their assassinated master. Without lord Asano, there are now wanderers (ronin). In the American version of the story, they plan an assault with the help of Kai (Keanu Reeves), in order to kill their master’s assassin. This will be Jin’s first role in a Hollywood movie and possibly the beginning of a promising career path. On the other hand, he didn’t forget about his music. After his successful tour last year, he is planning on releasing an album in both English and Japanese. The albums are in the care of the mega-groups Warner Music and Warner Music Japan. His album will include song featuring Jason Derulo and will be produced by J.R. Rotem, who also worked with Rihanna at “SOS” and Lil’ Kim at “Whoa”. Now, it’s only a matter of America being conquered or seduced by Jin.